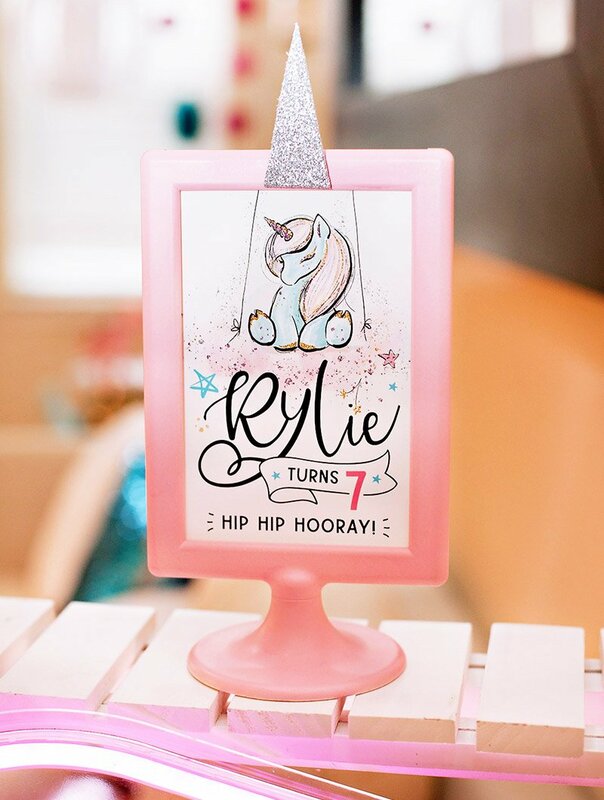 With a name like ‘Princess Twilight Sparkle,’ what little girl could resist?! 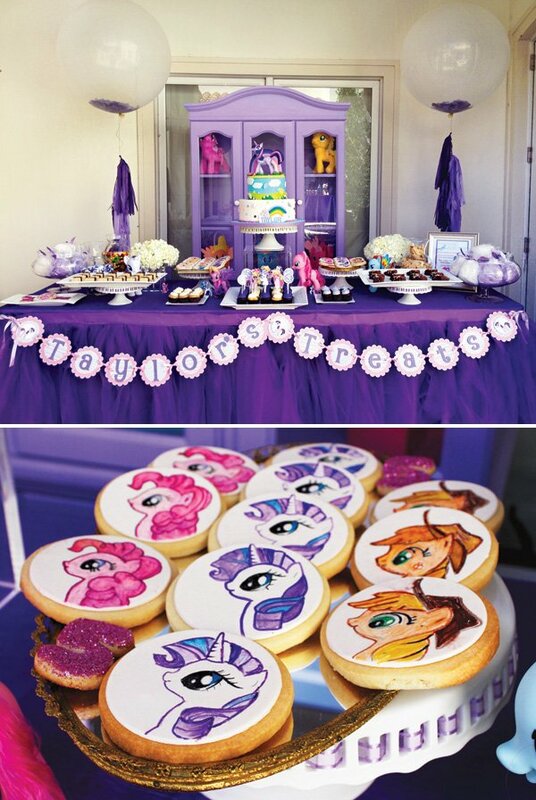 A Joy Wallace styled & catered this Royal My Little Pony Birthday Party Celebration for a little girl’s 5th birthday. 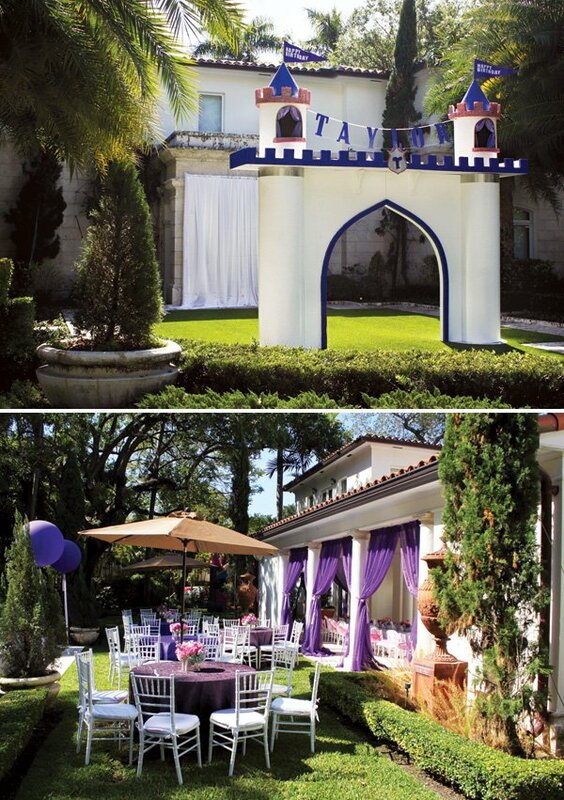 With a stunning castle entrance & regal long tablescape, it certainly was a royal affair. And no My Little Pony party would be complete without pony rides! A cute rainbow-tailed pony did just the trick. 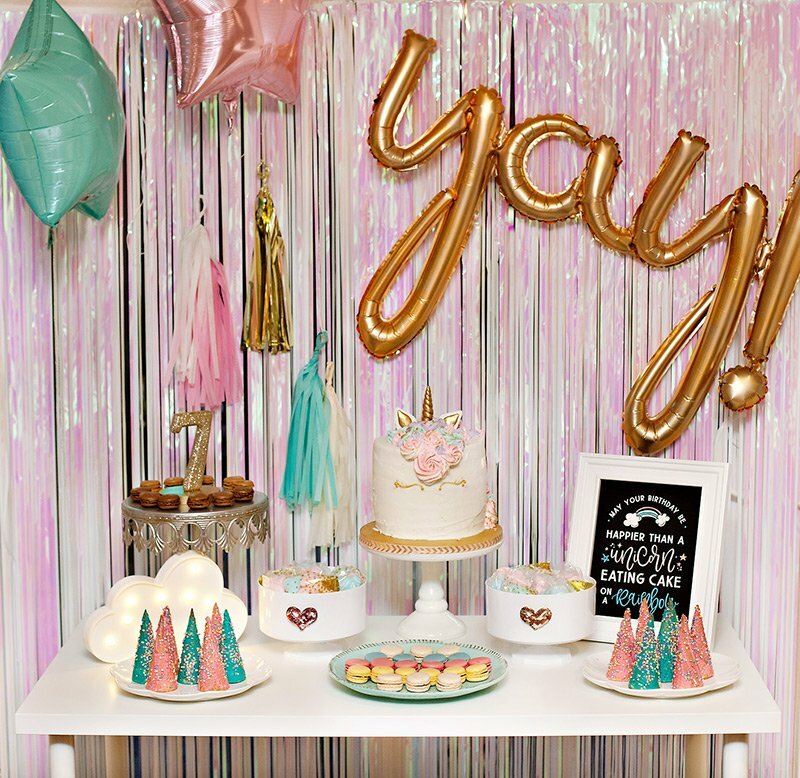 When our client came to us for her daughter’s 5th birthday, she knew two things: she wanted it to be “My Little Pony” theme & it needed to be fabulous! 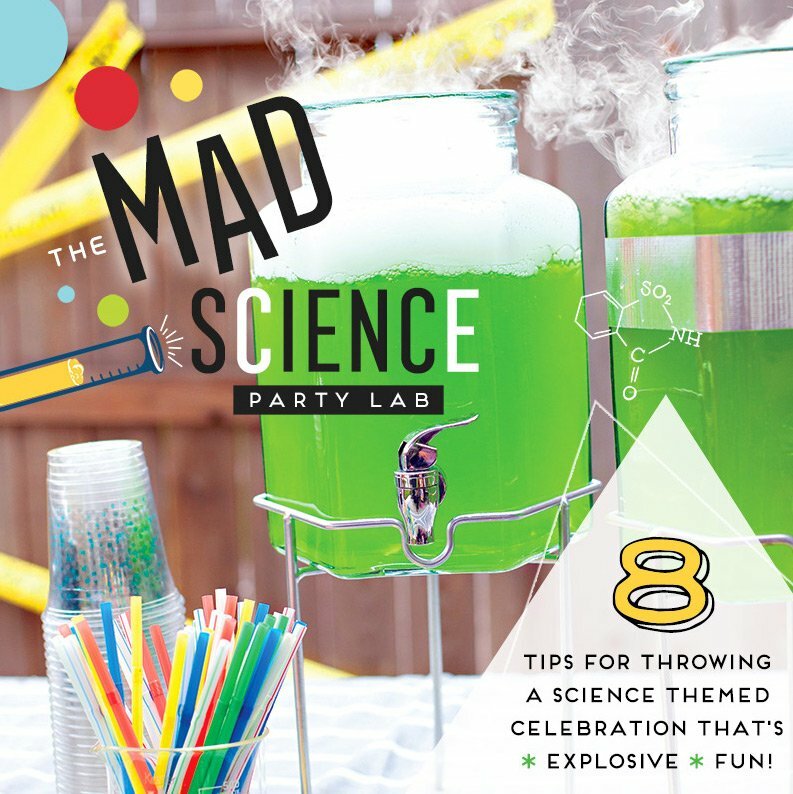 It’s not every day we get to create and produce kid friendly events, so when we get the opportunity, we make sure that we not only execute the clients vision but that we also have fun with it! 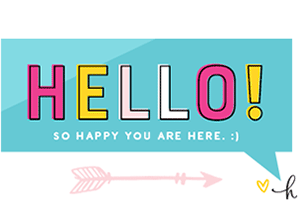 We had to get to know the birthday girl, Taylor. Her favorite pony is Princess Twilight Sparkle, she is an outgoing little girl who loves to have fun and we wanted her event to portray that. 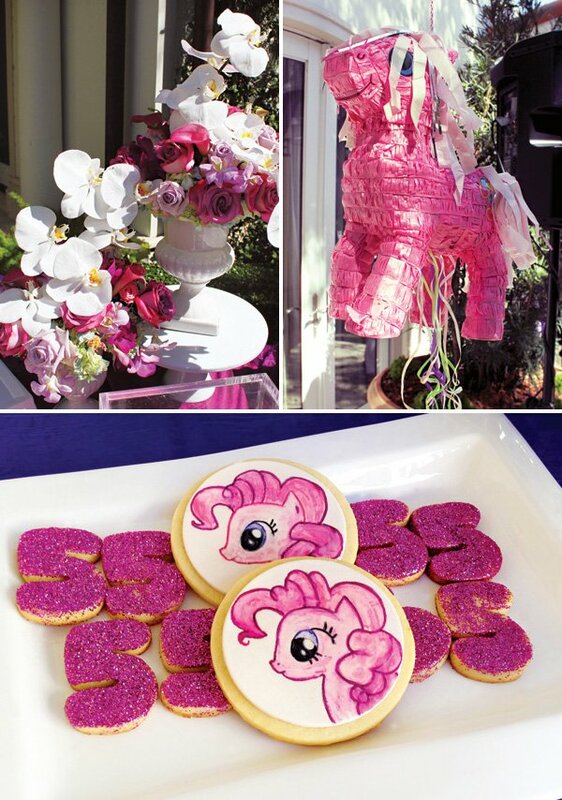 The design process began with taking the colors of her favorite pony and creating our color palette, using deep purple, lilac, pinks and white. After a great deal of pony research, the glittering castle entrance was born. This whimsical environment for the kids needed a soft touch, which was accomplished with purple & lilac fabric draping off the outdoor space. 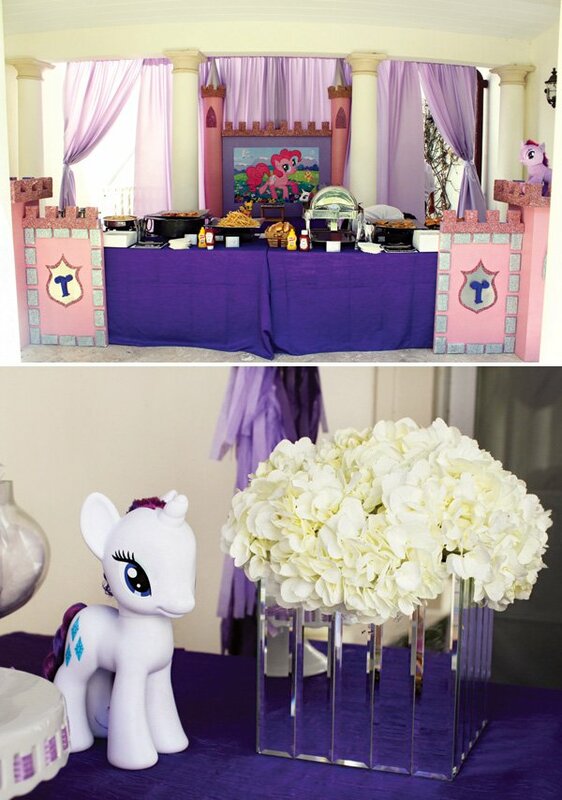 The kid friendly food station area was adorned with another custom built castle, comprised of three connectable pieces for an easy and functional fit. 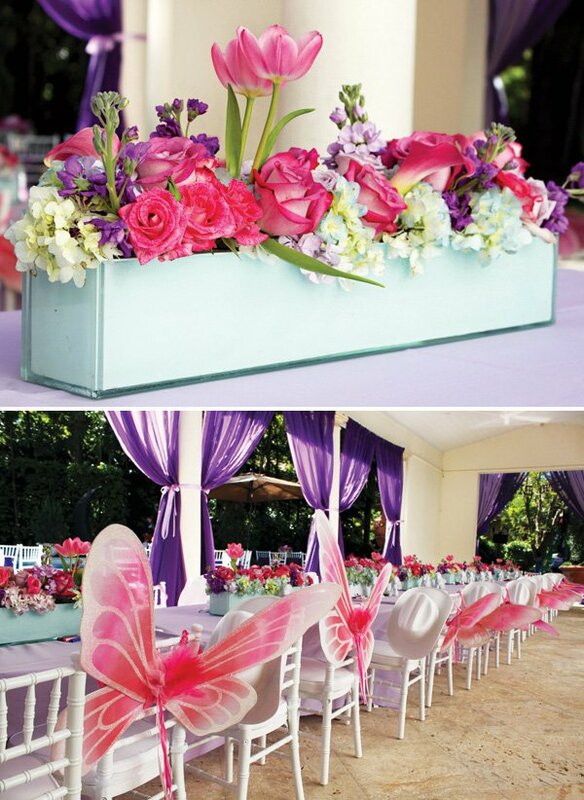 Some of our favorite parts were the dessert station and bar, accented with purple armoires. 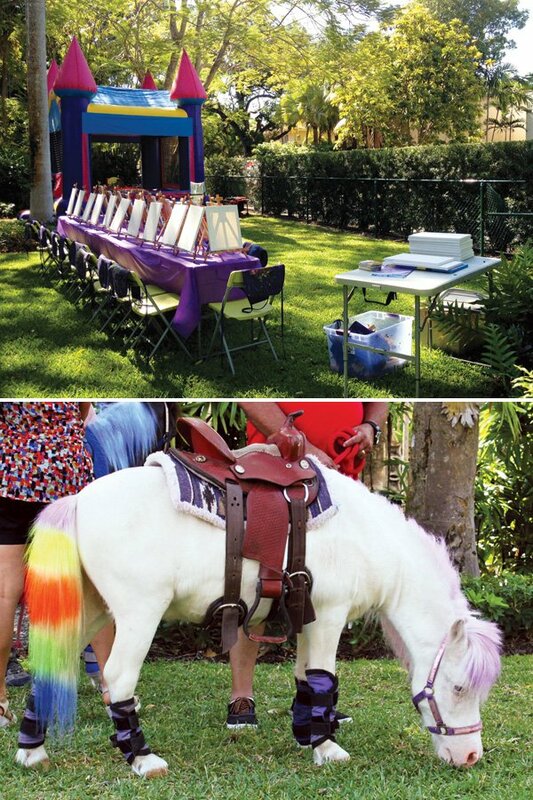 For the bar, we had a signature drink “Twilight Sparkle Punch,” for all of the kids to enjoy. 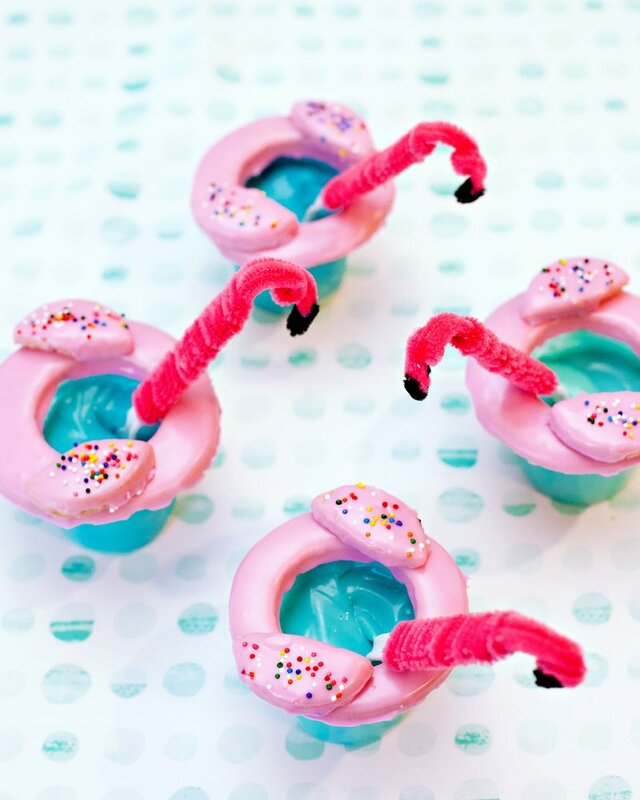 The dessert station had every sweet you can think of from cupcakes and cotton candy to animal crackers and M&Ms! 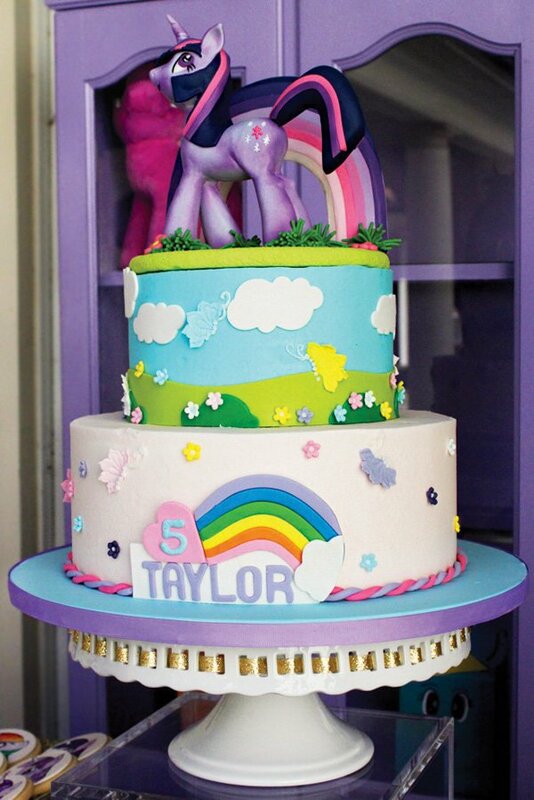 We had a beautiful cake from Elegant Temptations with Princess Twilight Sparkle herself as the cake topper! 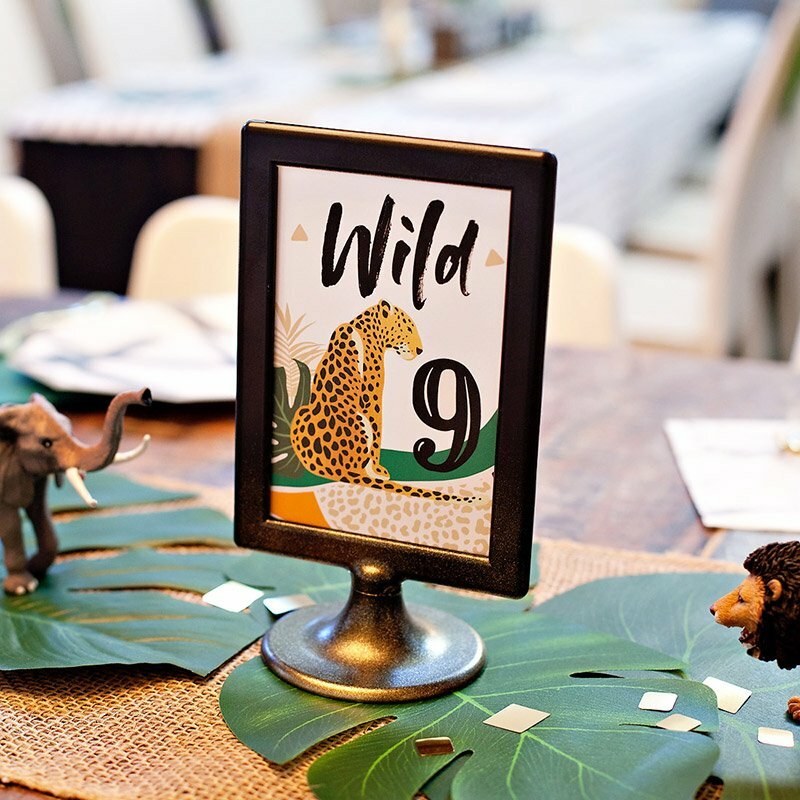 Another special area we were so excited to come up with was the children’s area where they had their own mini table and chiavari chairs. 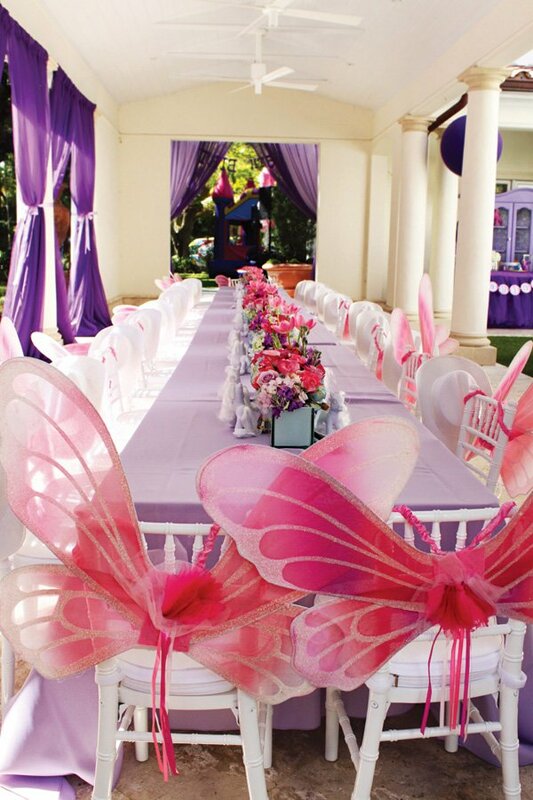 Each chair had a pair of butterfly wings or a cowboy hat for the young guests to wear around the party.